Thinking about Snow … in June? I’m happy to report that I turned in Murder, Plain and Simple to my editor at Penguin/New American Library earlier this week. This the first novel that will be published under my pen name, Isabella Alan. It will release Fall of 2013. Now, I’m back to working on A Plain Disappearance, the third novel in the Appleseed Creek Mystery Series for B&H Publishing, and I’m thinking about snow. A Plain Disappearance is my first novel set during Christmas time, and I’m learning a lot about Amish Christmas tradition. I’m also trying to be creative in how I describe snow because there is a lot of it in the novel. Luckily as a native Ohioana who works in the Snow Belt near Lake Erie, I have more than my fair share of wintry experience. It also helps to look at some photographs of snow I took only a few months ago. Here’s a break from the summer heat! Enjoy! You can order the first Appleseed Creek Mystery, A Plain Death, on Kindle TODAY. Also Amazon says it has paper copies in stock even though the actual release is not until July 1st. If you read the novel and have the time, please post a review on Amazon.com. Those are a huge help and raise an author’s stock on that mammoth website. Happy Murder in a Basket Release Day! 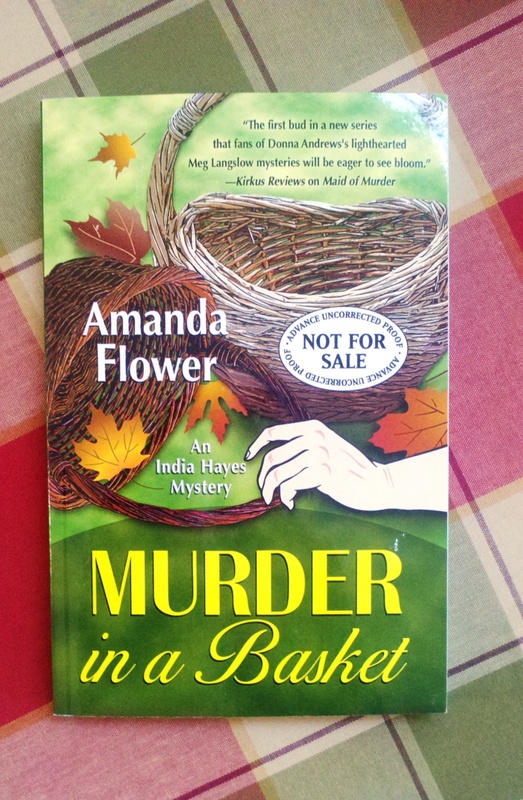 Today is release day for my second India Hayes mystery, Murder in a Basket! If you can’t find the mystery at your favorite bookstore, please ask the shopkeeper to order it. Remember, you can always suggest Murder in a Basket to your local library to purchase so that you and all of your friends can read it! In Murder in a Basket, college librarian India Hayes thought the worst thing about the Stripling Founders’ Festival was her pink gingham pioneer dress until she discovered the body of a free-spirited basket weaver on the festival grounds. 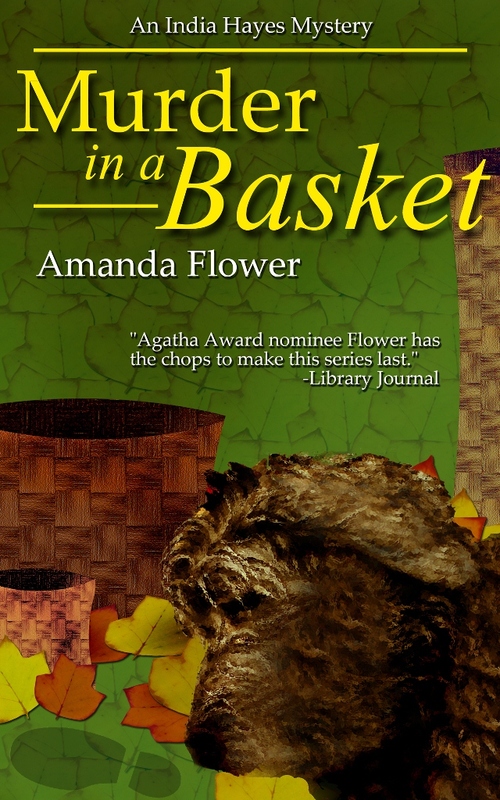 The basket weaver leaves behind an angry blacksmith husband, a confused adopted son, greedy siblings, a dysfunctional artists’ co-op, and a labradoodle with a two-million-dollar trust in his name. Despite the wrath of her college’s provost and protests by handsome police detective Rick Mains, India finds herself playing sleuth as well as foster-owner to the two-million-dollar dog. 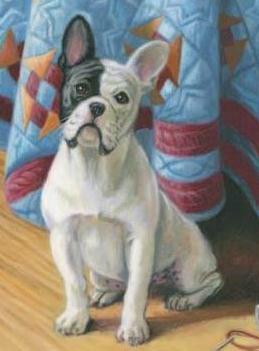 With her own eccentric family commenting from the sidelines and her Irish-centric landlady as volunteer sidekick, India must discover the truth before she has a permanent canine houseguest or ends up the next victim in the basket weaver’s murder. 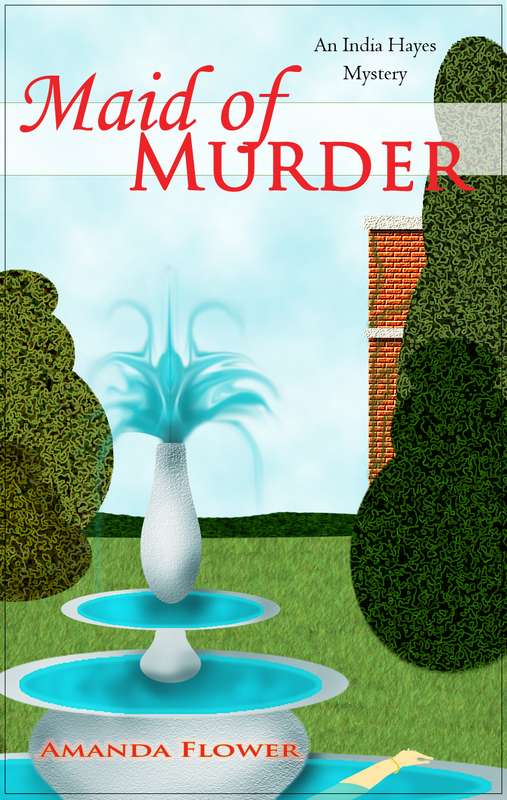 To celebrate the second India Hayes Mystery, I’m hosting a Super Sale of Agatha Award-Nominated Maid of Murder on Kindle. Now, it’s $2.99!! Click here for the Kindle version. It’s time to spread some holiday cheer with free books! Are you tired of waiting for Murder in a Basket to be released? Does February 8, 2012 seem too far away? Do you want to read it now? Here’s your chance to be one of the first to read my second novel in the Agatha Award-nominated India Hayes Mystery Series. I have four Advance Reader Copies (ARCs) available to give away, and you can win one! Anyone who comments on my blog or my facebook page (http://www.facebook.com/authoramandaflower) with an answer to my weekly question about mystery fiction will be entered into the drawing for that week. If you post your answer in both places, you are entered twice and have a better chance to win! If you don’t win week one, don’t worry you can reenter the next week! You have four opportunities to win. Week Two: Monday, December 12th- Saturday, December 17th. Winner will be announced Sunday, December 18th. Week Three: Monday, December 19th- Saturday, December 24th. Winner will be announced Sunday, December 25th Christmas! The winner Christmas week will also win an Amanda Flower tote bag. Week Four: Monday, December 26th- Saturday, December 31st. Winner will be announced Sunday, January 1st. Entries are limited to U.S. and Canadian mailing addresses. Comments deemed profane or offensive will not be included in the contest. I reserve the right to make that determination. Entries cannot win more than once. Entries have one week to claim their prize. If they do not claim it within that time period, a new winner will be chosen. Post your answer now to enter! Don’t forget, you can post the same answer on my Facebook Page for an additional chance to win!